No interior room is lost compared to submersibles which take up the room of 2 people. Is not effected by a minimum water volume level that an aluminum heater requires. Allows for a marine grade vinyl insulating cover to be used thus retaining heat much better over a weekend (4? thick with child locks). Water stays cleaner, as wood is not being loaded inside the tub. Better temperature control, using a high and low speed draft control to regulate the heating rate. Vented smoke-outlet for secondary combustion provides less smoke and sparks. 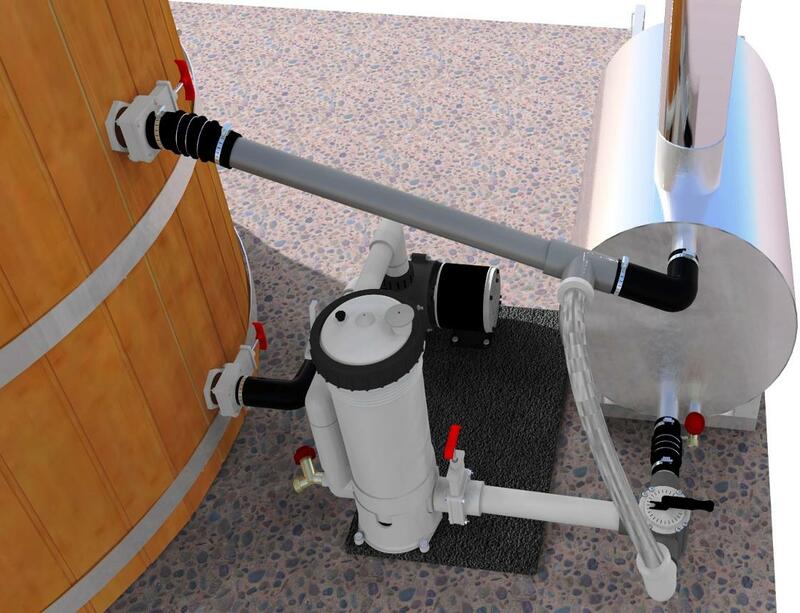 Automatically circulates the water using thermosiphon (no electricity required). 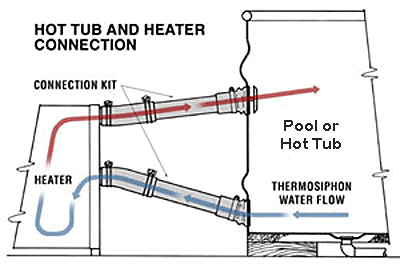 Our wood fired hot tub heater systems are a very economical way to enjoy your Northern Lights Cedar Tub. The only additional cost would be the preparation of a solid foundation. 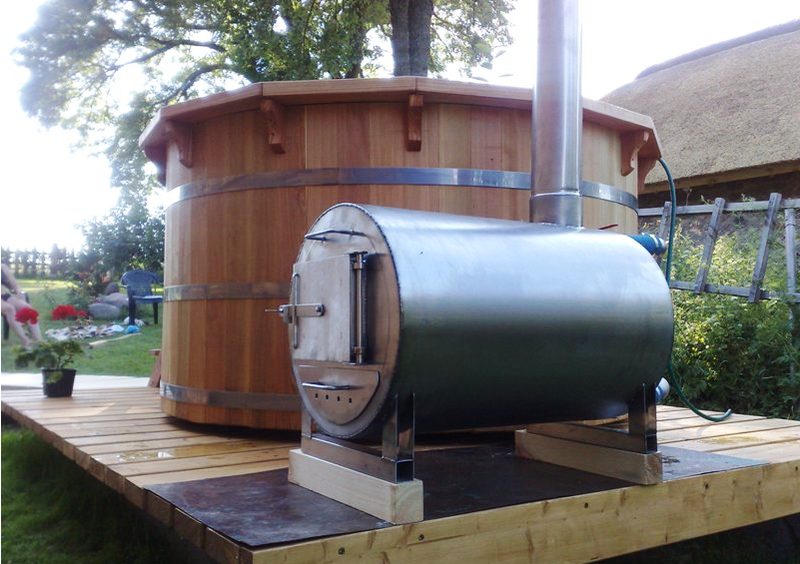 The wood fired tub system is very inexpensive to operate (cost of wood). It is ideal in cottage country, where typically users enjoy the pleasures of a wood fired hot tub soak during weekends and holidays. 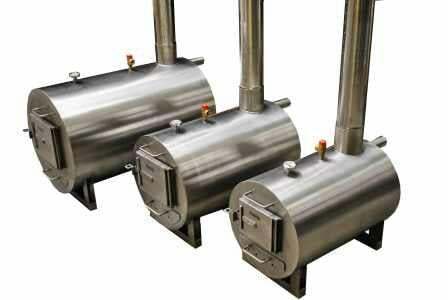 Wood fired heating systems release considerable amounts of heat. 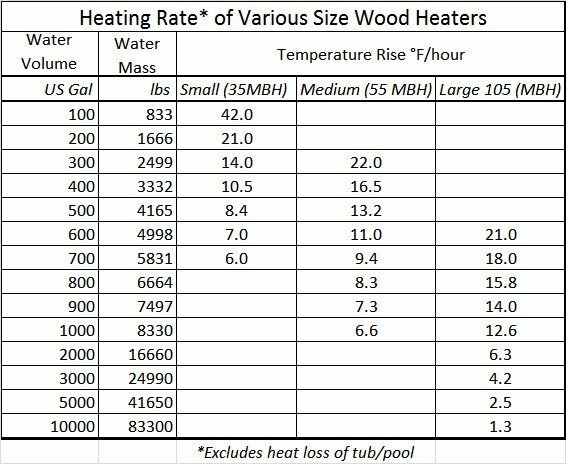 Lake water can be heated to operating temperatures in as little as 1-4 hours depending on the starting temperature and size (volume) of tub. The draw back of the Chofu system is that it must be drained and filled more often unless a optional 120VAC filter/pump system is added. All tub kits come complete with materials and hardware. The TimberLine Wood Water Stoves are precision built wood burning water heaters designed specifically for hot tubs and above ground pools. 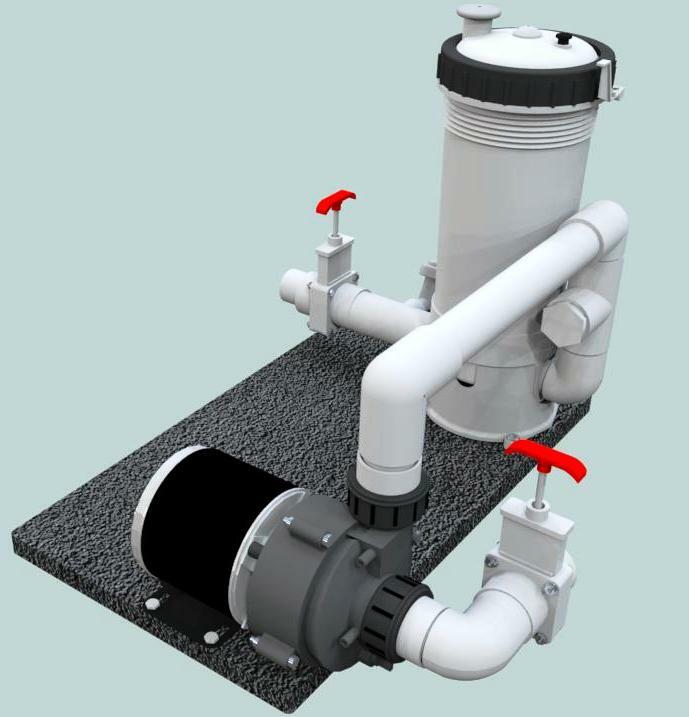 They circulates water using the principal of thermosiphon (the pumping action created by rising hot water), eliminating the need for a circulating pump or electricity. 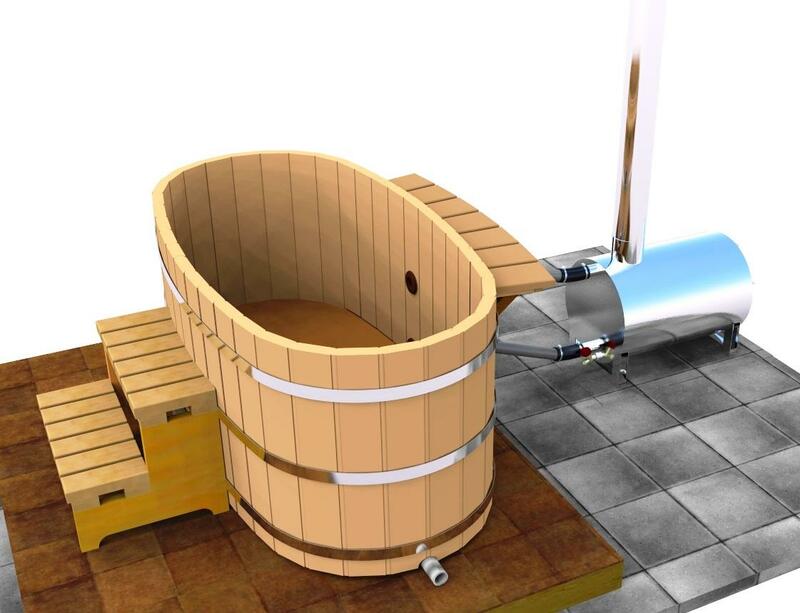 This unique feature opens up a whole new range of possibilities for alternative hot tubs. Now you can have a basic soaking tub without pumps, chemicals, or high maintenance. The stove body of the TimberLine Heater is made with high quality stainless steel, grade (340), so it can be used outside, without worry. And since the firebox is also made of stainless steel, it will withstand years of service without the danger of burning-out. The smoke outlet on the Wood fired hot tub heater features a unique vented collar that provides secondary combustion of unburned gases, for reducing smoke emissions and chimney sparks. The TimberLIne Wood Water Stoves utilize a sophisticated heat exchange design for efficient water heating. The stainless steel stove body surrounding the firebox is a double-walled water-jacket with a 1.5-inch space between, making the entire firebox (except the front) a heat-transferring surface. Additional heat transfer takes place in a water-filled baffle plate that runs horizontally through the firebox. The baffle deflects the path of the fire, so it gives up more heat into the water jacket before going up the chimney. Cutting 1 7/8-inch holes in the side of the tub wall for thru-wall ports. Installing pipes to connect heater and tub. The TimberLine hot tub heater operates like a conventional wood stove, achieving its fastest heating rate from dry hardwoods. It uses 17-inch wood with an 18-inch x 14-inch x 14-inch firebox. The most efficient heating comes from using 17-inch x 1 1/2-inch x 1 1/2-inch wood, loaded at 45 min. intervals. 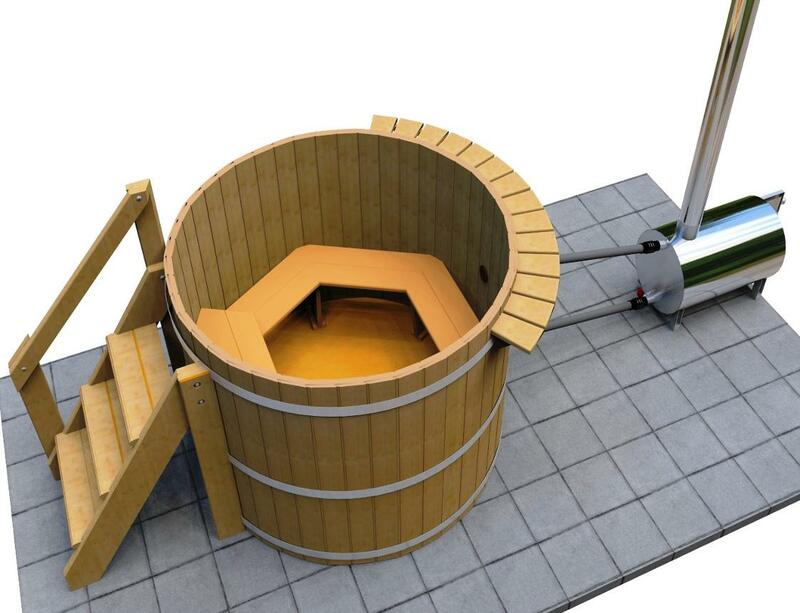 The wood hot tub heater has a high and low speed draft control to regulate the heating rate. It operates with the draft wide open for fast heating, and closed down to maintain temperature once the water is hot. Vented smoke-outlet for secondary combustion. 3/4-inch drain for freeze protection. An ash drawer for easy removal of ashes. Note: The heat output of the TimberLilnetm Water Stove increases after an initial 45-min. warm-up period that heats the stove body and establishes a bed of coals. The TimberLineTM system will be attractive to customers who have limited electrical capacity at their cottage or would not frequent the hot tub on a daily basis (weekend use). As an option we offer a low voltage filter/pump system with a GFI receptacle. This system, with proper chemical maintenance, allows users to extend the clarity and "health" of the water allowing an extended time frame between draining of the tub. It also helps to more evenly mix the layers of hot and cold water that can happen with slower thermosiphon.